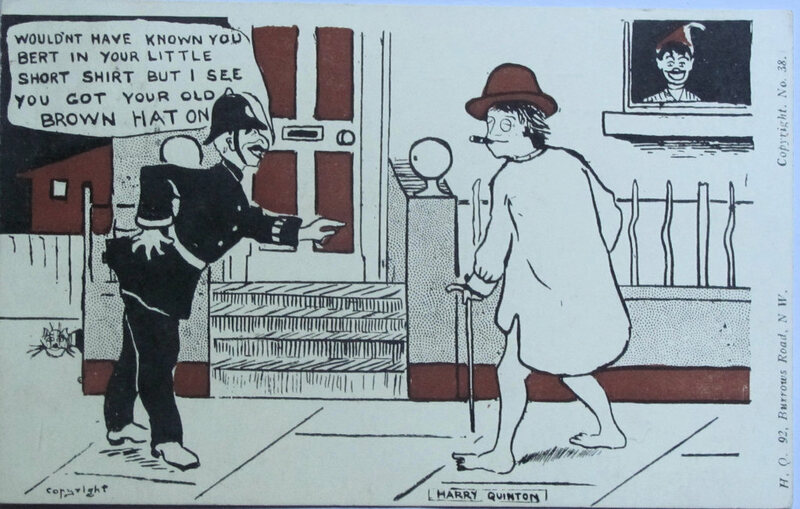 This card appears to be either a precursor or a copy of It is vey breezy down here by F S. of a similar date and raises the question - was the above card drawn by "F S" or if not, who was copying who. 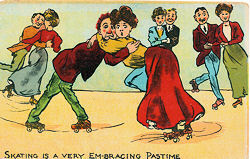 The following cards all have the same back as the above, and are printed in a similar uncommon way - and most carry the word "copyright." 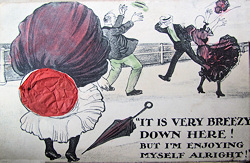 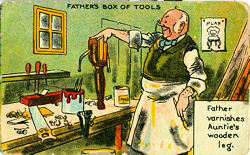 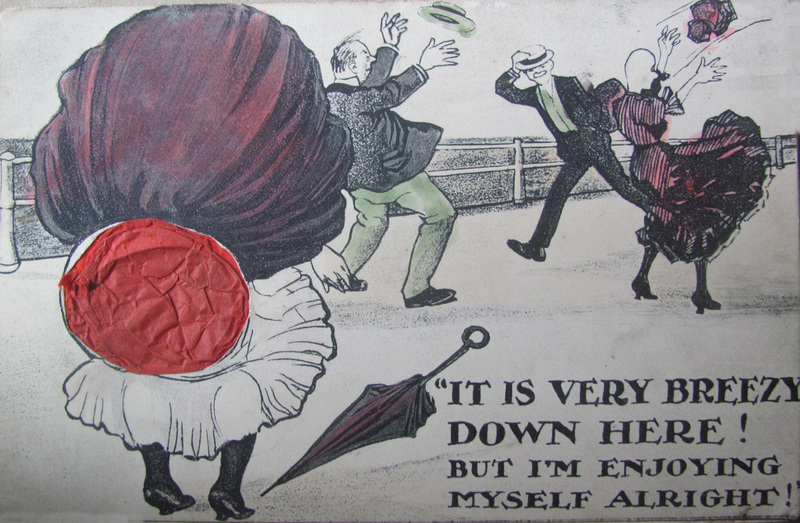 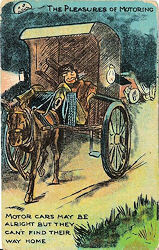 Harry Quinton produced a number of cards in the same style and with the same back, seen posted 1905-1907and were all self-publisher from 92 Burrows Road, London N.W. 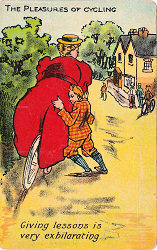 While I have not come across any published by E L P Co. 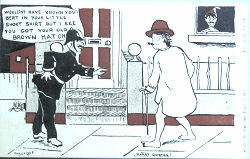 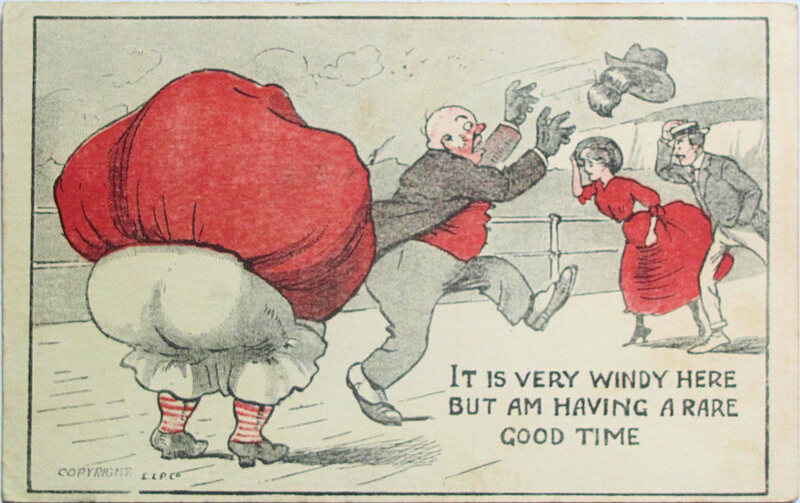 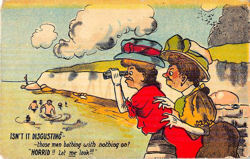 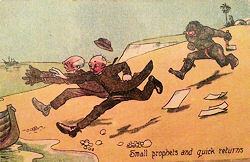 If "F S" did not draw the above "It is vey windy" card could it have been drawn by Harry Quinton - and if so who copied who? 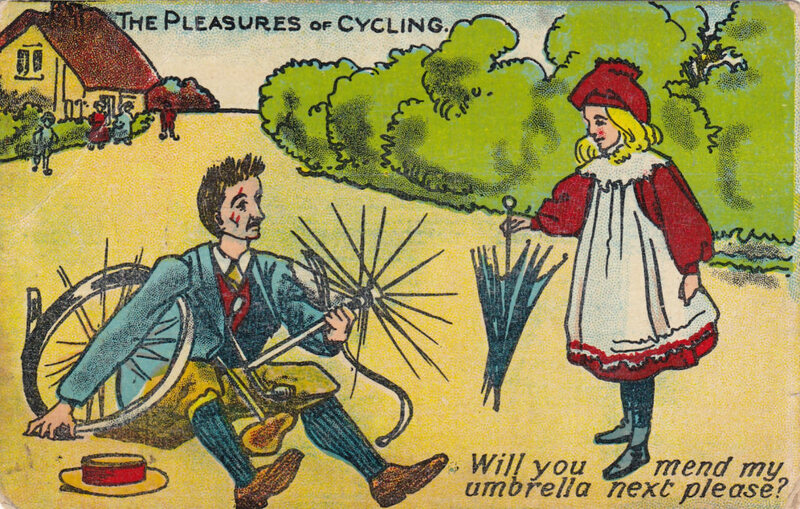 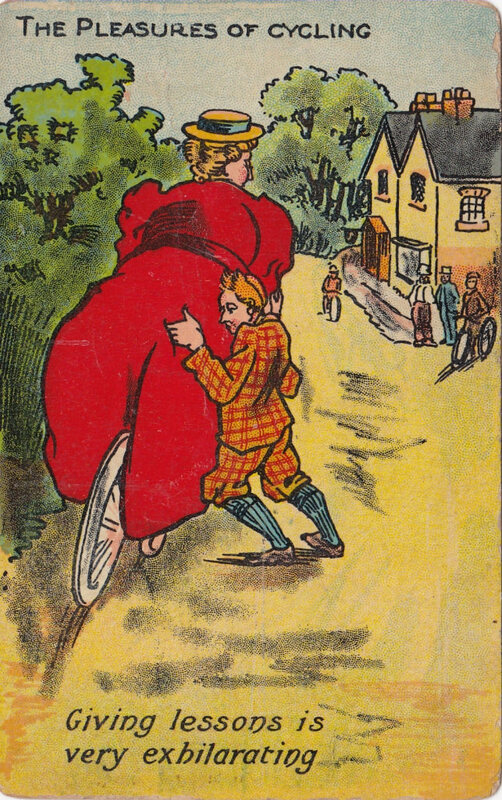 The Pleasures of Cycling card was earlier sold by H Garner, and an initial search on ebay for ELP showed some of their cards probably came from H. Garner's "Living Picture" series. 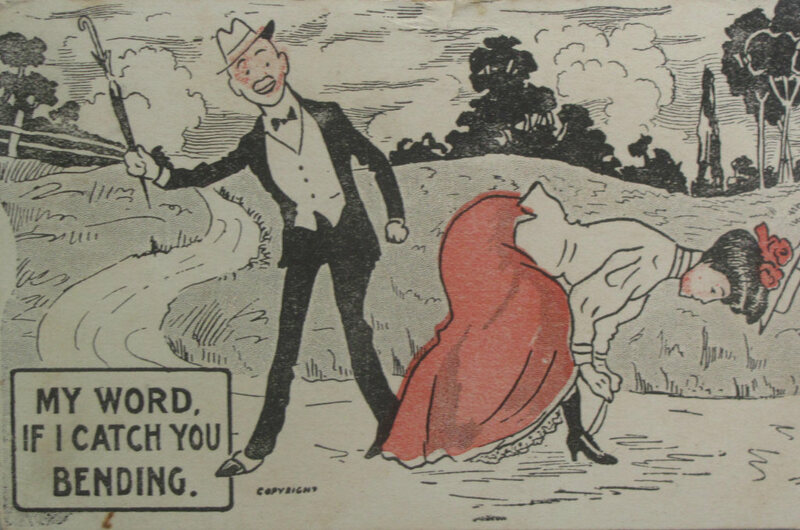 This would suggest that E L P took over the publishing rights from H. Garner in about 1910. 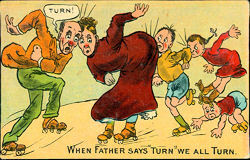 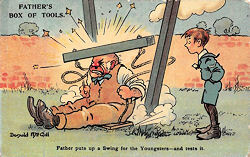 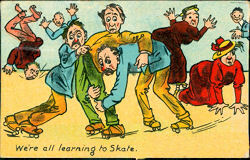 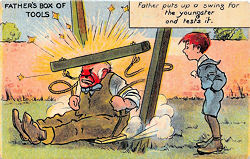 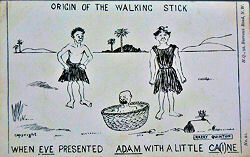 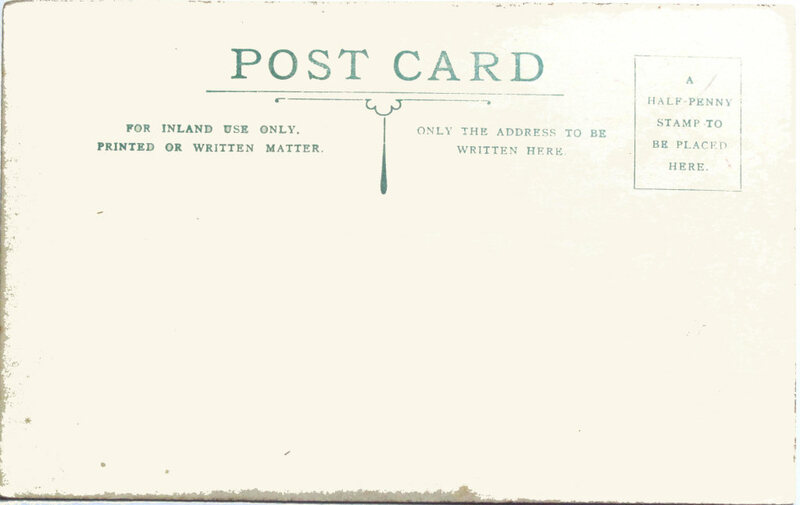 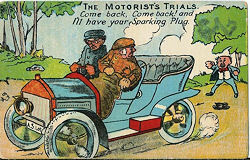 However several of the E L P cards - such of the two below - have yhe same set names as an "F S" but are almost certainly not by "F S."
At about the same time as the above card was published E L P was also publishing other comic post cards with similar backs. 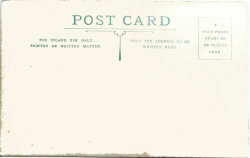 These are unsigned but not in the "F S" style. 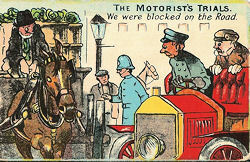 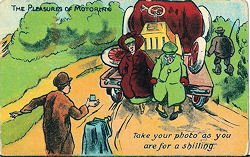 The Motorist's Trial cards are reprints, with modified texts, of earlier cards by Donald McGill and published by the Pictorial Postcard Co Ltd (E S = Empire Series) or the Regent Publishing Co. 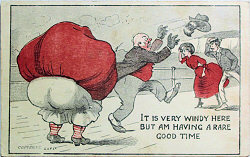 Anything that relates to the "It is very windy" card and throws light on any "F S" connection. 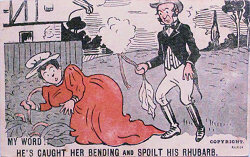 Further examples of "F S" cards published by E L P - particularly other series. 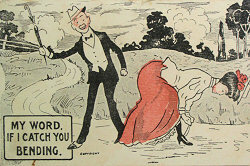 Any information (for instance other common cards) linking H Garner with E L P.